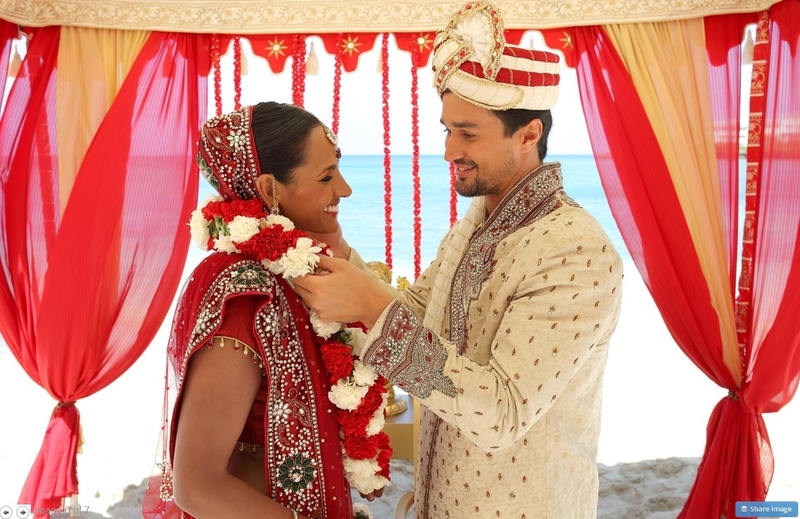 Great to see pictures of a new project for designer Karen Bussen's Simple Stunning Shaadi Bliss destination wedding package for South Asian celebrations. 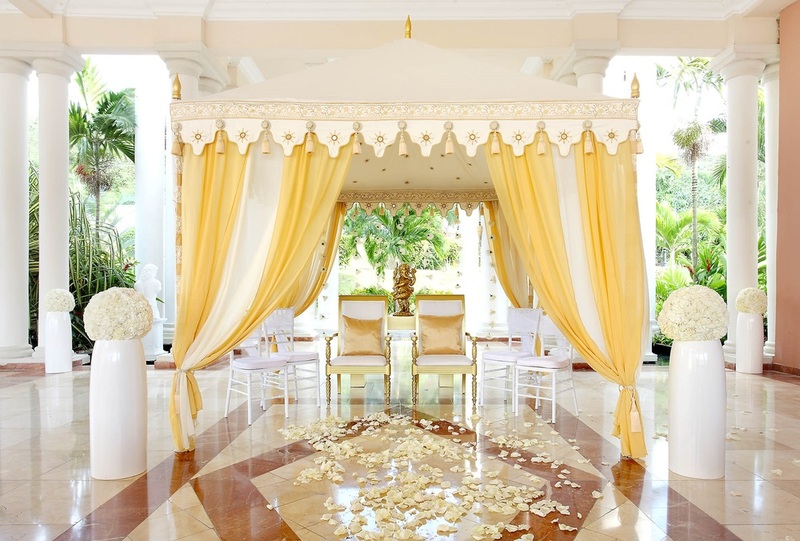 The photo shoot was earlier this year at the Grand Palladium Lady Hamilton Resort and Spa, featuring the Raj Tents' Pergolas in two custom colorways designed especially for Karen Bussen. Both the cream/gold and cream/red Pergolas are woodblock printed with mirror work and have ornate large rosette tassels on the scalloping valances. Now available at Palladium Hotels and Resorts in Jamaica, Riviera Maya, and Punta Cana. Thank you to Roberto Lara photography for the great pictures.